As business working professionals and business owners, having your company run smoothly and efficiently is top priority. The less you have to be concerned about, the more you can focus on providing customers with the best service possible. Every now and then, it may be important to get together as a team, get in contact with board members or customers. 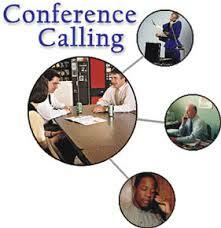 That is where conference call recording and transcription come in to play a major and vital role. Conference call recording can be of great use to businesses. Whether it’s to make sure that customers are receiving the best service possible or to make sure that your employees have up-to-date information, conference call recording and transcription is important to companies. In regards to having records of board meetings, current status meetings, or making important decisions in regards to the company, businesses can use the transcription notes for permanent records. One benefit of utilizing conference call recording is that you can capture the moment and use it later for transcription reasons. It helps to ensure that everything said is recorded and can later be put into word form for future use in the company. By having a record of the meeting, those who may not have been present can go back over the transcription notes and get all the information as if they had been there. Even if people were on the call, if they missed something or can’t remember how something was said during the call, having a transcription file is an easy access way to review. They can also search the documents easily for certain words or sections by using keywords. Another benefit of conference call transcription is saving time and money and the ease of use. Not only can everyone on the team be on the same page, but it can prevent any future disagreements or conflicts. It’ll be easy enough for everyone involved to access the file. For your conference call transcription, you want to ensure that the audio quality of the recording is of the highest quality. Not only does this provide good quality for your business for any future needs, but also for the person who has to transcribe the call. It may be necessary to look at an outside company, like a transcription service, for one or both of those needs. Scribie offers conference call recording at reasonable rates. For only $0.03 a minute, per caller for the call, you can have your conference call recorded for free in the form of an MP3 file. In addition, all calls are recorded and transcribed automatically; you just pay for the transcription at the regular rate. There’s no need to worry about your future meetings or calls. Keep record of all your information in one place with the convenience of conference call recording and transcribing and remember Scribie for your recording and transcription needs. Book a call now with Scribie and get the transcripts with just one click or just upload your file for transcription.